I got bored, so I decorated the wife's valve cover. 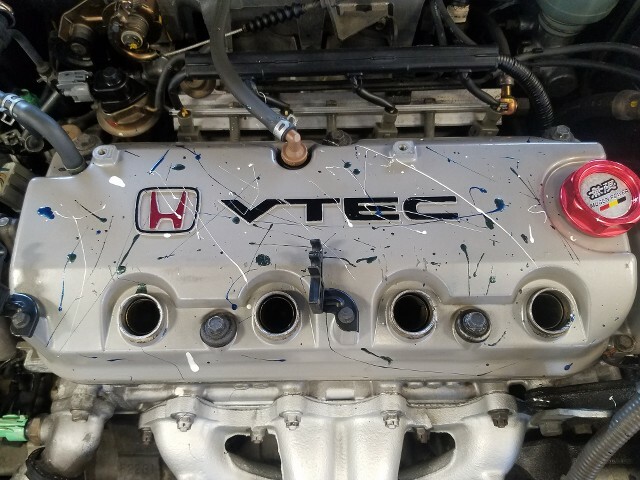 I painted the H symbol and the VTEC then splattered it with some more color. Thanks! It's the little things that make women happy. 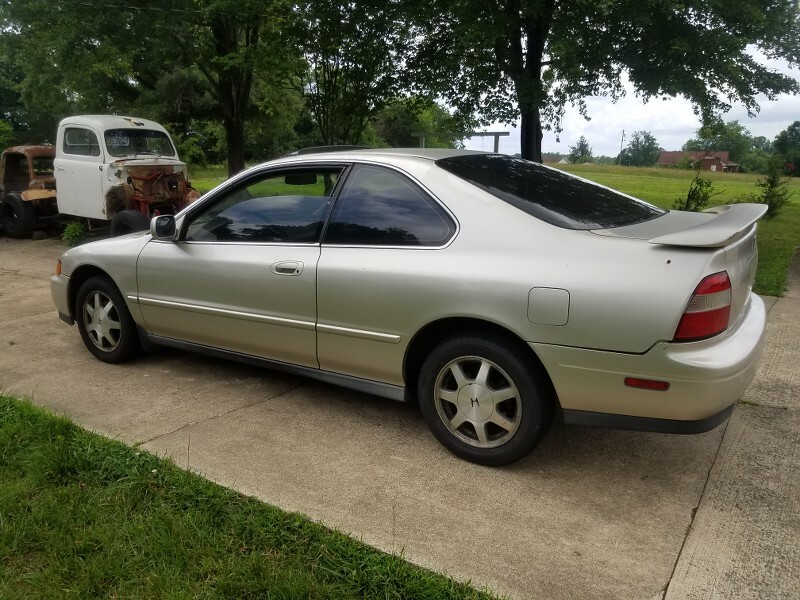 Picked this up Saturday for $100. 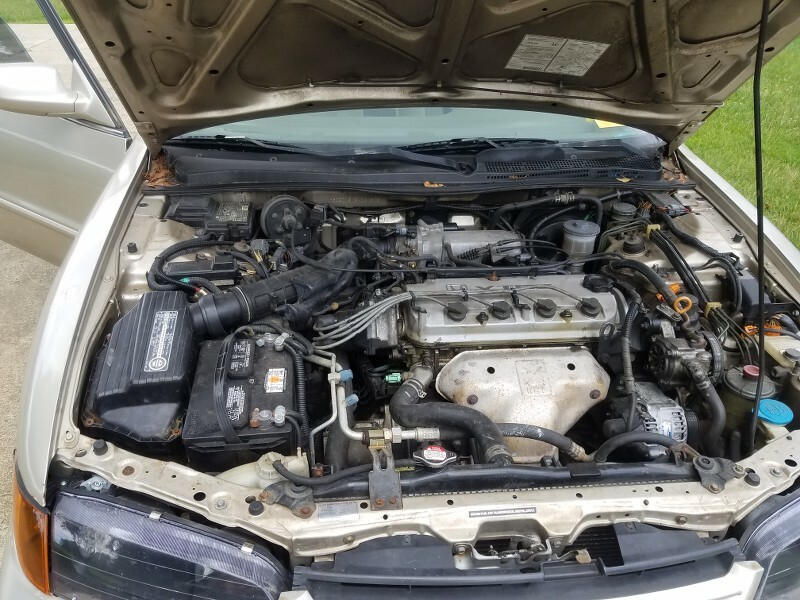 Needs a good cleaning and some love, but runs and drives great. 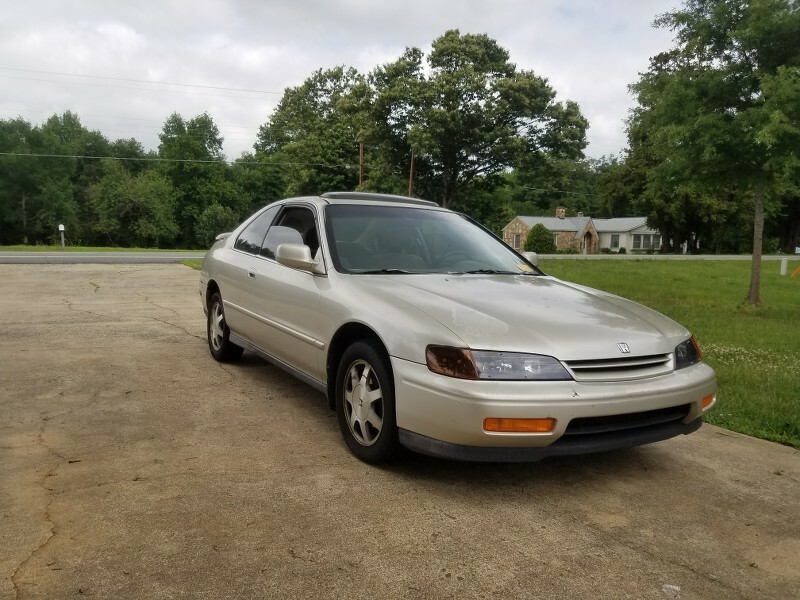 Nice score, I always wanted a 94-95 Accord coupe. Thanks, me too, this just kinda fell in my lap. It was traded in at work, too old and and needs too much to be retail worthy, so I jumped on it. That is how I got my Volvo wagon, someone traded it in and I saved it from going to the auction. Very very nice thread thusfar. Really liked how you made the ‘96-‘97 EX alloys stand out. Also pressure washing the inside is a good idea! If I didn’t keep my CB clean all the time (ocd) I would do that too! Keep up the good work ! Will keep an eye on your builds. Too bad you are in NC would love to help. Nice score. Good perk of the dealer tech life. There’s a lot of elbow skin on that arm rest! I also have a few climate control knobs off CB’s so if you need one you can have em. PM me if you do. Not sure if they fit off the top of my head.. Thanks! Hopefully I will be making a build thread sometime this year if all goes to plan. It would be nice to collaborate with some fellow CB lovers. Last edited by Size9zombie; 06-12-2018 at 01:55 PM. Yea, great perks! The pics were taken AFTER I cleaned it out and vaccumed it, I will be pulling the interior out and pressure washing it this week. Since it is going to be sunny with no chance of rain for the next week or so I will be riding my '94 Magna every day. 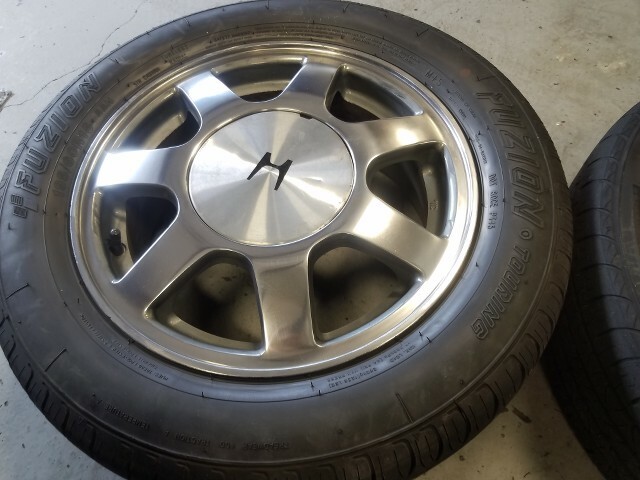 Had a slow day, so I resurfaced all 4 wheels on the coupe. Gave 'em a nice polished look, I love that raw metal look. Nice job on the wheels. Is the bike a 250 or 750? Those bikes are awesome. Pics? 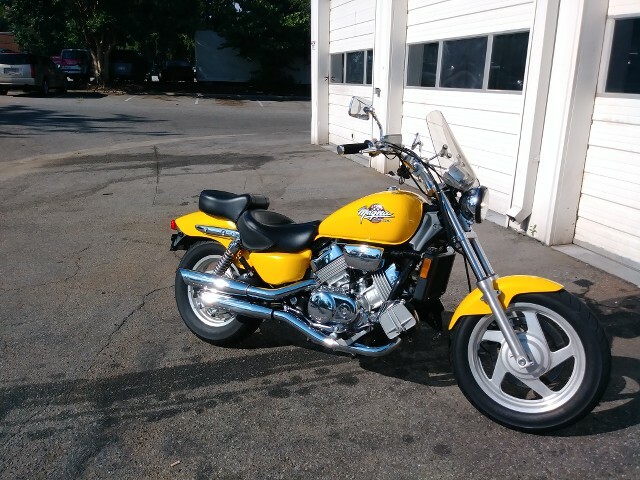 750 v4 Magna, it is slow by todays standards, but still a blast to ride. I'll upload some pics. It is in the backgraound of 1 of the pics of the CD. 94 was the first year of the 3rd gen Magna. 11 second 1/4 times from the factory. I have a jet kit and have removed the factory baffels in the exhaust, so it is a bit quicker as these bikes tended to run pretty lean in stock fashion. 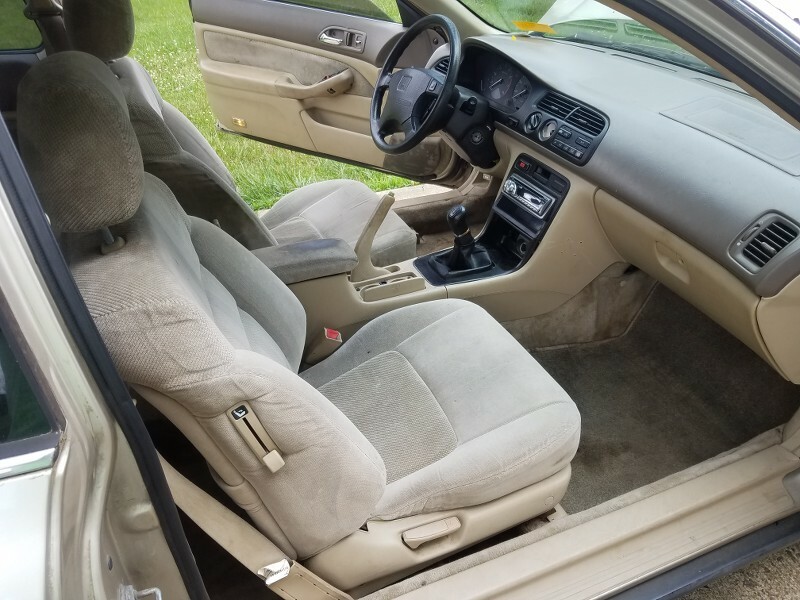 It has a Mustang touring seat, foward floorboards, and Kuryaken Kinetic grips. Future plans include Mustang hard bags to match the seat and Kuryaken foward controls. 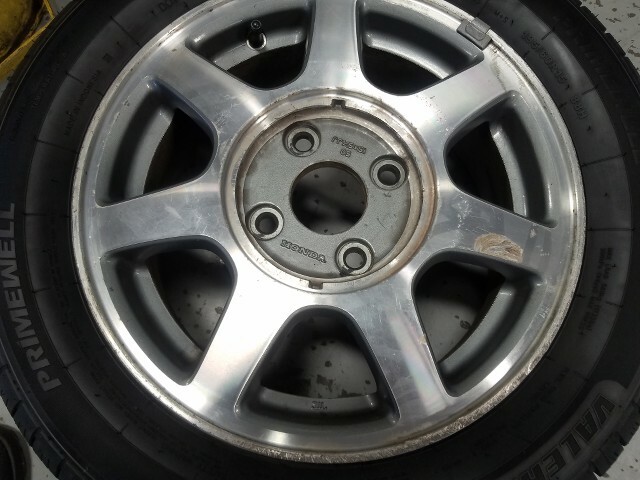 Thanks on the wheels, the 1 pictured wasn't the worst and it took almost 8 hrs to resurface and polish them to tbe point where I was happy. Last edited by Size9zombie; 06-07-2018 at 08:47 PM. You do very clean work that's easy to appreciate. Nice bike you got there as well. I have an older Magna. VF1100 V65. Been sitting for a couple years now. 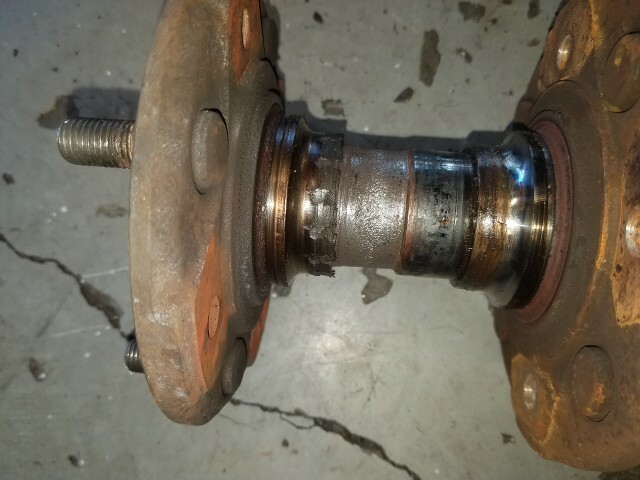 When I took the axle nut on the passenger side loose, the hub and rotor fell off in my hands. 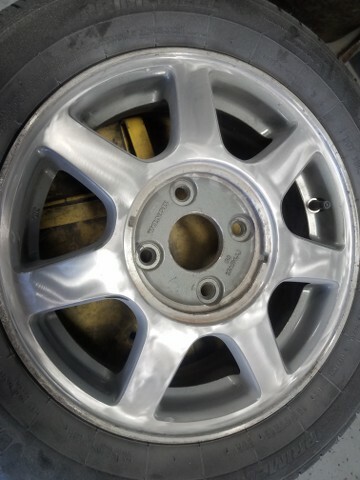 Upon further inspection the hub is severely damaged as you can see in the pic. Over 3 mm of diameter has been ground off, only thing I can figure is a "mechanic" in the past left the axle nut loose after a repair causing this and said, "it'll be ok". 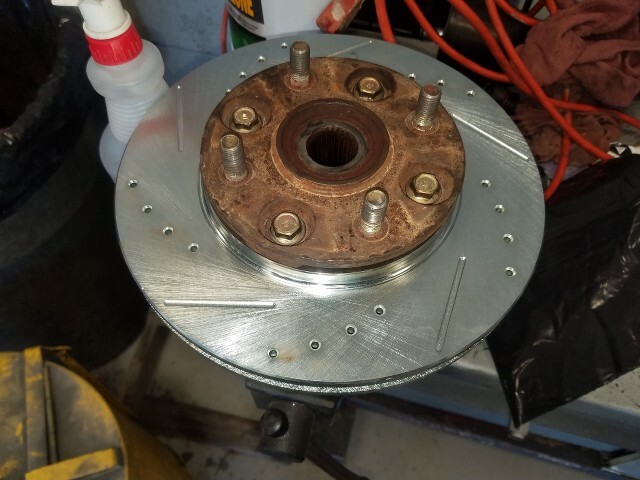 Powerstop front rotors with Raybestos Advanced Technology ceramic pads, the passenger side got a new hub and both sides recieved new wheel bearings. I also replaced the valve cover gasket, deleted the balance shaft belt, adjusted the valvles, and resealed the distributor. Thank you very much! I love the V65. Always have wanted 1, never have got 1. I worked at a bike shop years ago to help out a friend that owned it, so I've riden a ton of bikes. The Magnas (muscle bikes in general)hold a special place for me. Oh snap! I’m glad you’re still around Josh! Bike is AWESOME. Yellow I wasn’t expecting, and that looks great. The wheels scream 94’. The bags will make it look tough. The hub problem.. i guess a torque wrench is too far into the future for some.. I have a '97 VFR and God do I love that motor. It sounds all lumpy like it's got a cam, or like maybe it's a twin. And then the whine of the geared cams sounds like one of the old blowers. I love it to death but I haven't been able to ride it in over a year because of my back. Are the Magna motor's cams geared or do they run off of chains?